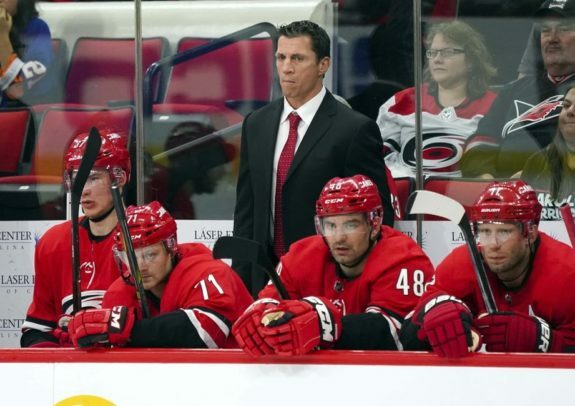 The Carolina Hurricanes are on the verge of doing something they have not done in nearly a decade. They are about to make the NHL playoffs. Of course, there are still games to be played, but the team is arguably in its best position to secure a playoff spot than it has been in a good long while. These “Bunch of Jerks” might just do it. Here is the lay of the land as of Tuesday afternoon, Mar. 18. The Hurricanes are in the first wild-card spot with 85 points and 11 games left to play. They trail the Pittsburgh Penguins, who they’ll play in Raleigh on Tuesday night. The Pens have 88 points. Above the Penguins in the Metropolitan Division are the New York Islanders and the Washington Capitals, both with 91 points. Behind the Hurricanes are the Columbus Blue Jackets with 84 points and trying to move in from the outside are the Montreal Canadiens with 81 points. To say the ‘Canes are on the verge of securing a playoff spot is underpinned by the reality that anything can happen. It will be best to put a playoff ribbon on this season only after it’s a done deal. Earlier today, Steve Silverman posted a story on the Bleacher Report noting the latest Stanley Cup odds and wild-card predictions. 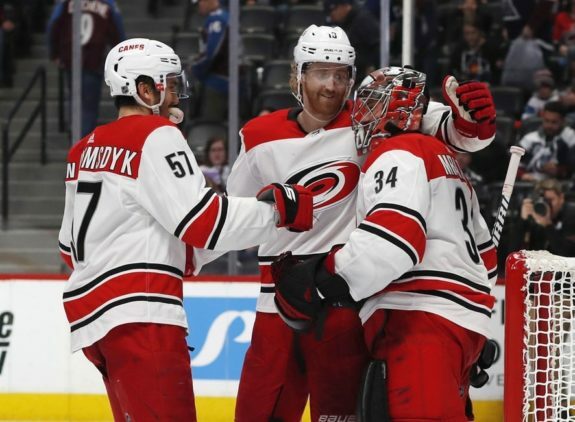 Silverman wrote this about the Hurricanes: “The Hurricanes have been playing excellent hockey and are 7-2-1 in their last 10 games. They should be able to hold onto the top wild-card spot in the Eastern Conference.” His confidence is nice to hear for a team that has been scratching and clawing for a second wild-card spot only to “almost” get there season after season. There you have it. Take it to the bank, right? As ESPN’s college football analyst says, “Not so fast.” The “Missouri skeptic” in all of us had better be cautious and say, “Show me,” before we take the Hurricanes making the playoffs to the bank. Yes, all things being equal, they should make the playoffs. According to sportsclubstats.com, the Hurricanes have a 95 percent chance of making the playoffs. Once again, those words are like a sirloin to a starving dog, ready to be consumed. The fans are hungry, they are starving for their team to make the playoffs. 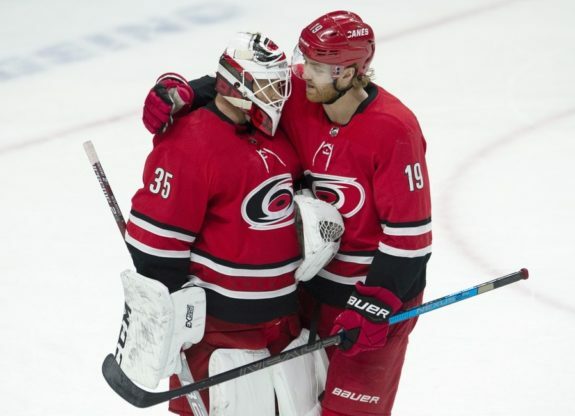 To say the ‘Canes have a 95 percent chance of ending the playoff void that has been growing for the past nine seasons is like sweet music, a ray of sunshine and the sound of early morning waves lapping at the ocean’s edge all at one time. They are the sweetest sound Hurricanes fans can hope to hear. We’ve all heard the phrase, “That and a dollar will buy you a cup of coffee.” (Yes, today it’s more like five dollars). But, the point is that 95 percent is nice, but that is all it is until they actually suit up, lace their skates and go out and win the requisite games needed to keep the Habs and/or the Flyers from catching them. You have to go through trying years and failure before you get to your goal. We’re done losing. It’s time to climb the ladder and get relevant. Can you imagine the “Storm Surge” if they clinch a playoff berth with a win at home?